Indian Institute of Technology (IIT) Guwahati, the official exam organiser of the GATE 2018 exam has released the results today. New Delhi: GATE 2018 result are announced. Indian Institute of Technology (IIT) Guwahati, the official exam organiser of the exam has released the results today. Qualifying GATE is a mandatory requirement for seeking admission and/or financial assistance to Master's programs and direct Doctoral programs in Engineering or Technology or Architecture and Doctoral programs in relevant branches of Science, in the institutions supported by the MHRD and other Government agencies. Further, many Public Sector Undertakings (PSUs) have been using the GATE score in their recruitment process. 1. 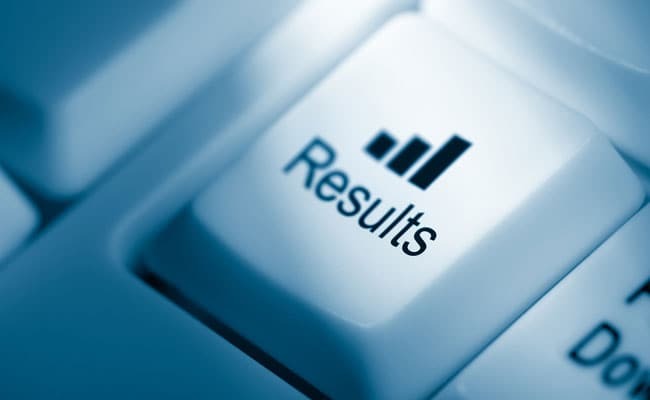 The results have been made available for candidates on GATE Online Application Processing System (GOAPS) website, appsgate.iitg.ac.in. 2. The GATE 2018 score is valid for 3 years from the date of announcement of the results, that means, from today. 3. GATE 2018 scorecard will be made available for the qualified candidates on March 20 on the official results website of the exam. According to the notification, the GATE 2018 scorecards can be downloaded between March 20, 2018 to May 31, 2018 from the GOAPS portal. 4. After the evaluation of the GATE 2018 answers, the actual (raw) marks obtained by a candidate was considered for computing the GATE Score. For multi-session papers (subjects), raw marks obtained by the candidates in different sessions were converted to Normalized marks for that particular subject. Thus, raw marks (for single session papers) or normalized marks (for multi- session papers) were used for computing the GATE Score based on the qualifying marks. 5. In GATE 2018, examination for some papers was conducted in multi-sessions. Hence, for these papers, a suitable normalization is applied to take into account any variation in the difficulty levels of the question papers across different sessions. The normalization is done based on the fundamental assumption that "in all multi-session GATE papers, the distribution of abilities of candidates is the same across all the sessions". 6. In case, GATE qualified candidates requires the soft copy of their GATE Scorecard after 31 May 2018 and till 31 December 2018, should pay a fee of 500 (five hundred only) for obtaining the same. 7. Any queries regarding result are handled by the GATE 2018 Organizing Institute, IIT Guwahati.